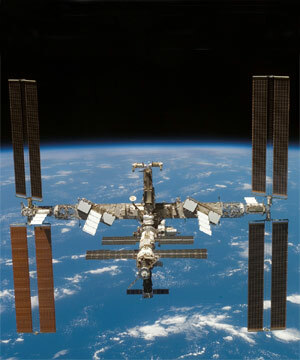 Popular Science Blog - What Should NASA Do With the ISS? What Should NASA Do With the ISS? The International Space Station has always been sold as an orbiting science laboratory, though just what those astronauts were studying has never been entirely clear. Now NASA has announced that once the ISS is completed in 2010 (or will it? ), the agency will open up about half of the U.S.’s research space on the ISS for outside use—both for other government agencies, such as the DOE or Pentagon, and for universities and corporations. NASA should use part of it for astronaut training, and as a 'pit stop' on the way to and from the moon (once they put a base there, that is). As a storage depot it does not even need to be pressurized. It would break my (and others) heart to see $100,000,000,000 (one hundred BILLION dollars) get burned up in deorbit.